Clean Energy Collective launches first-ever instant savings program featuring $0 upfront cost and $0 recurring costs. Hollaender, the leading supplier of structural slip-on fittings for the solar pipe rack market, supports the fittings with a 10-year warranty. Capable of generating 1.5MW, the new turbine will provide enough electricity to power the potato supplier's processing facility while still supplying some 600kw to the grid. The project will combine with other research and development there and in the company's R&D facility in Germany, SolarWorld Innovations, to propel the company's full-production module power density beyond a once-unimaginable milestone of 300 watts-peak. Equal Earth today announced that the company is offering customers long-term financing for off-grid solar systems, delivering affordable energy alternatives through innovative solar lease and loan programs. Italy: the next CSP hotspot? Italy's southern regions are not too different from Spain's when it comes to the solar irradiance received, and with 17 CSP projects at different stages of development, the market could easily supply itself and its neighbours. - See more at: http://social.csptoday.com/markets/italy-next-csp-hotspot. Solar financing marketplace will use funds to make solar loans accessible to more homeowners across the U.S.
YANMAR America will be giving a presentation on the company's new gas heat pump technology, as well as have their products on display at the 27th World LP Gas Forum in Miami. RBI will be at booth #1400 and Renusol will be at #3135. 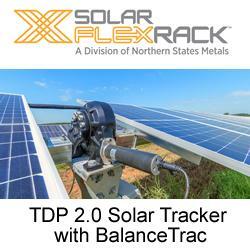 Stop by and take a look at the latest ground mount, roof mount, landfill, and solar carport racking solutions.